Every site needs traffic in order to deliver. Likewise every marketer know that traffic is the lifeblood of their business. Without traffic the business will fail no matter how good looking the website is. Today we shall be looking at some of the best ways to drive targeted traffic to your website so as to deliver in return to you good result, mostly sales. Providing fresh, unique and useful content is one of the best ways to get traffic. It is mostly referred to as content marketing. This method is very effective because majority of people go online looking for information about the products and services they are thinking about to purchase. If you can provide them with high quality, unique content on your website it is like bait to lure them in and when it’s “really good” it keeps them interested. The good thing about content marketing is that it works very well whether you are promoting your own website, your client’s site or sending traffic to affiliate offers. And to attract real visitor, content is the best way to get them to spend more time on your website. So, if you have quality content, it will inspire them to share, bookmark, and return often. And these will get them one-step closer to becoming a paying customer. Not only does it help in bringing prospect to your site it also helps boost your credibility. Want to know better ways to Drive Targeted Traffic to your Website ? When you provide lots of useful information on your site it makes you look like an expert in your niche, building trust and trust converts the people into customers better than anything else does. Remember it’s not enough to only provide quality content, it is necessary for the targeted audience to see the content by optimizing your website for search engines to be find it on the search engines when people are looking for information. So, it is important to use your keywords and phrases in your headlines and throughout the rest of the content for your site to show up and rank well when people search for those keywords which in turn drive more traffic to your website. Forum and Social networks are vital platform, but it’s not enough to be there but be in a targeted forum and social networks were your audience hangout. It is a very effective way to drive traffic to any website. To do this effectively you join in on the conversations, answer questions and post useful information that is closely related to your niche. In driving targeted traffic to your website be careful the way you post by making sure you’re not spamming because most time this will get your posts deleted. And also always include a link to your website whenever appropriate. Very effective methods that work well on this platform is using viral marketing method to drive traffic to your website. You do this by writing free ebooks or short reports with a link to your website. And to keep driving traffic to your website for a long time always have a link to your website on your blog and on any press release that you write. Having a sponsored content is also and effective method. You can do this by having your product or service details given in a blog post, review or a video on the internet. The good thing about this sponsored platform is that it works very well for both offline and online method. These contents can help you receive lots of traffic from online and offline users who are interested in the product or service you provide depending on the platform that it is been broadcast. Taking advantage of these options for your marketing campaigns is vital, it allows you to tap into the flow of traffic and redirect them to your own website or blog. It is a very effective way to drive targeted traffic to your website. For example, there are already several videos online that provide details on health and wellness. If you have anything related to this niche, you can advertise your content through these videos. This can be done by having your company name mentioned in a video prepared by a popular video blogger and that will result to traffic to your website. The advantage of this is that you do not have to spend time and money on creating original video content yourself; you just take advantage of what is already popular on the Internet. And if done well you will get tons of traffic through these popular videos. This sponsored contents works very well because a part of traffic that goes to view such videos and blogs will be heading toward your website. Sending out press release is good traffic generating platform. I see most time marketers ignoring press releases because they don’t understand the benefits or don’t know how to write them. And majority of them that have it make sounds more like an advertisement than news. 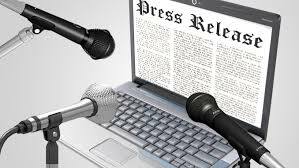 To have a good press release and use it to drive targeted traffic to your website, it must to be written like a newspaper article, and in the third person, so that they will be picked up and published. If it is written properly it can generate traffic from multiple sources for an extended period of time, so make sure you submit a well written one. A very good strategy to have one produce is by reading a very good and effective one and use it as an example to have yours written. Sites like Craig’s List are good platform for press release because they receive unbelievable amounts of traffic every day. Site likes this are good for this purpose whereby you use the right keywords for people easily find your ad when they perform a search. Also micro-blogging sites like HubPages and Squidoo are great to drive traffic. These sites in particular can be an excellent source of targeted traffic because they have a large number of members, which results in tons of internal traffic that’s looking for information. Not only that also carries a lot of weight with the search engines, and can result in lots of organic traffic. If I may ask, have tried Yahoo Answers? It is another great source of free traffic. This site is been explore by thousands of people every day asking for questions, seeking for information. And if you can answer their pleas for help then you will get their attention very quickly. 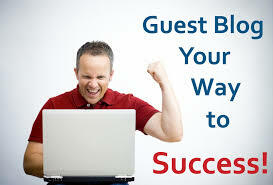 Guest blogging is also a great source. Have you tried it out before? The good thing about this is that even if you don’t need your own blog for this to work, although having one will help a lot more. Guess blogging is when you post on someone else’s blog. 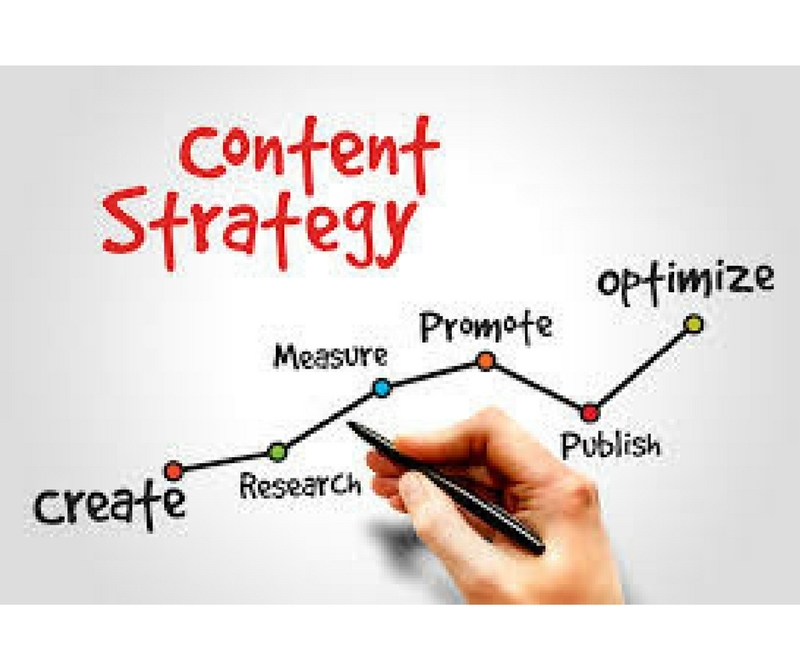 It is a strategy way in driving targeted traffic to your website because the aim is posting a content that will have a link back to your own site somewhere within the post. Mostly thorough resource box, and will get people back to your blog to find out more information. With this strategy you will get people back to your blog to find out more information. You do this by looking for blogs that work for your target audience. Mostly the one related to your products or business industry will help. Contact the owner to see if you would be welcome to write a post. Your application must be professional and also deliver with a good quality article. In your blog include link to get the traffic back to your own website as long as you provide a great quality blog post. You can as well allow others to guest post on your own site, too if you so wish, it’s a win win thing. The traditional ways for ads is to hire space and then post your ad to share your news or message. Meaning all is done on your own. But you can swap by agreement, whereby you find a partner to swap campaigns. Though this method can sometimes be disappointing but it can also be profitable depending on how you work it. The target is to agree that two list owners agree to promote each others business to their lists, sending traffic from their list to the other person’s business. Mailing list is often the right method to get this done effectively. But this issues that’s always common with this method is that you don’t know how responsive the other person list is. So if the other person can work out better off then you run the risk with swapping like this. I will advise you do a thorough research first and also find someone you trust with a responsive list. 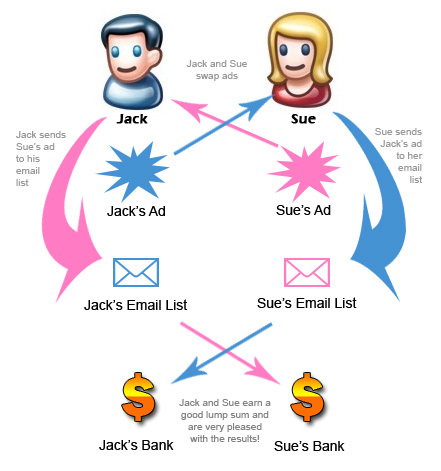 And that’s the only way to find ad swapping extremely profitable for both businesses. Not only can you use mailing list, you could even swap banner placements and blog subscribers by getting get the “blogroll” label and list similar blogs at the bottom of your bog. The real benefits definitely are to see you reaching out to many more prospects. One of the most popular ways for marketing is social media because of the number of people that are always engaging on daily basis. You will agree with me that these are millions of people. We have different type of social media but the one we will be taking note of are the most common options like Facebook, Twitter, StumbleUpon and Digg. Though we have other clones and social media accounts and if explore it could help you increase your exposure and efforts. The main purpose is to share your content, including your videos, MP3 files, images and blog posts. You can get others to clicks “share” to get your content out there. But remember, they will only share if they like your content base on value and benefit. They’ll share the content with their friends if they find it helpful, and it could mean that your content will reach millions more than you could ever have with just your own account. So with some luck and practice, you may find ways to get your posts to go viral, meaning lots of traffic will come to your site without you doing anything. 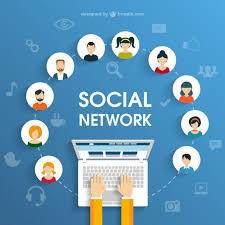 Social media also help you to get your customers updated when find out more about your services and products, and you can even invite them to events. Another power thing these platforms provide is it’s make it easy to integrate accounts together. Once you have something sharing on one site, it will automatically share on other sites. Meaning it’s worth creating accounts on multiple sites for promoting your business. It’s always easy to share articles, podcasts and blog posts in files but how about if you have software to share? We all know that software is usually much larger depending on the application, and that makes it trickier to upload. Uploading it on file sharing sites that will allow the sizes you need is very important. Not only that, you’ll need to find a way to help your audience gain access to these files. One of the easy ways is turning your files into torrents for people to download. Which means when a search related to the file is done, the torrent will appear. Please don’t get me wrong, Torrent marketing is excellent for those within the software industry, but can also be adapted for other areas of businesses and it works perfectly. One of the effective ways is to make sure the names have related keywords for SEO purposes. People search titles most times to make sure it meets their needs, rather than looking at descriptions. So, offering free demos to customers, giving them an idea of what they get with your full software will attract them. But please take note; many won’t buy until they have a hands-on feel of what they can get. You will agree with me that the free traffic you get and the ability to share larger files makes it cost-effective for your business. Is it not or what do you think? So what you need is software to be able to submit your torrent to the directories, which will also allow you to upload to various networks. There are a lot of directories out there on the internet, you can Google them or check for this popular once like Isohunt, Mininova and Torrent Portal. Also remember you will need a bittorrent client for this to work, like BitTorrent, Vuze or Deluge. Another marketing technique that can generate unimaginable returns if the content becomes popular is viral marketing. This usually happens when the audience likes a particular content; it will result to them sharing the same with people on their social contacts. It is a marketing technique that’s free but also hard to ascertain if it would become viral. But once the necessary momentum is gained, there’s no more push needed from the content creator. So as discuss above, content gets viral when the social shares becomes a chain reaction of sorts. 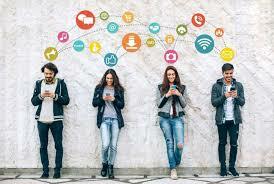 So if you have any content that goes viral it wisdom to allow the content gets maximum exposure on various platforms. But remember what goes viral is hard to predict. Meaning any content can go viral, be it video, images, articles or presentation. It not the medium you choose that is the major cause but how good and relevant the content is to people. 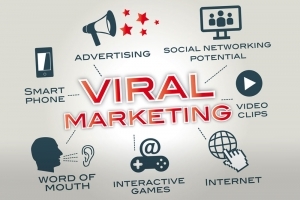 But even with this unlimited return potential, viral marketing can never be counted out. And if you believe today is your lucky day and see potential in your content, go ahead and try your luck out. The most important thing is to have a backlink accommodating your content otherwise you won’t gain anything out of the exercise. It’s important to let your contents be more insightful and helpful about your products or services. And also make sure that the content is just for your target audience. So, to Drive Targeted Traffic to your Website make sure your contents are informational and always deliver regularly to avoid much of delay for your audience. Do let me know if you use any of these platforms in your marketing and what has the result been so far. Hello Femi, Social Media and QnA sites have been one of my best traffic source for years, thanks for this awesome Post. Glad you like it. That’s a very good source for targeted traffic which most marketers don’t use.